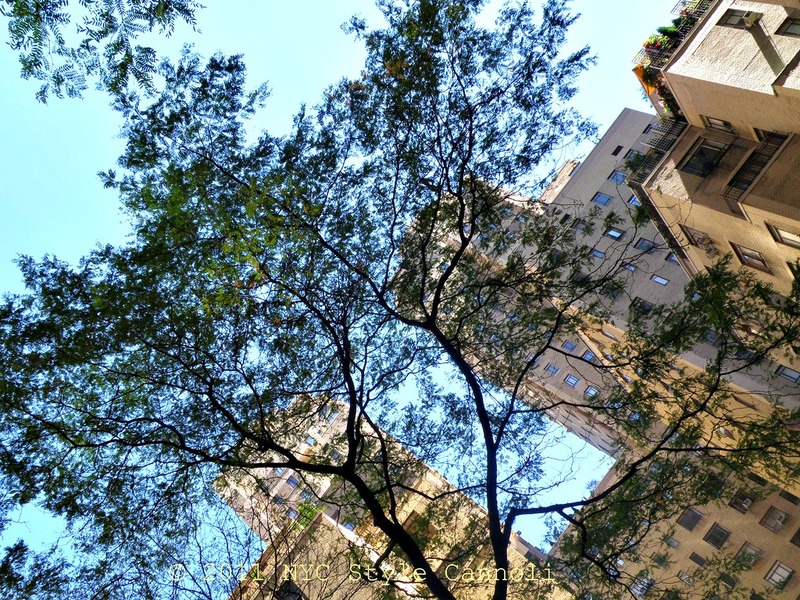 Photo Gallery Tuesday " Upper West Side Park"
This was my view looking up while relaxing in a small park on the Upper West Side. I found it by accident, and have returned a few times when in the area. It is a place where you can sit and read a book, have a gelato or just give your feet a break from all that walking. It was kind of hidden, which makes it even more special. I hope this Tuesday is a wonderful one for you!! where is your 'secret' park located? Awh my favorite part of the city. It's so peaceful on the UWS. This is amazing. I love NYC! Thanks for sharing this little slice of the sky!